The two-seat Porsche Cayman sports car shares its midengine platform with the Boxster, but its stiffer structure makes it an even more precise driving tool. Offering ultra-responsive handling, competition-grade brakes and sonorous flat-6 engines that make every road your own personal racetrack, the Cayman is a delightful car to drive. Now that the 911 has moved up in size and luxury, the Cayman perhaps best exemplifies the Porsche tradition of high performance in a compact, lightweight package. The Porsche Cayman can also be surprisingly affordable, at least by Porsche standards. The base Cayman undercuts the entry-level 911 Carrera by tens of thousands when new, and the higher-performance models are still relative bargains if you go easy on the options. Pre-owned specimens, meanwhile, can be real steals thanks to the magic of depreciation, yet they provide thoroughly up-to-date performance. Whether you opt for the current Cayman or its nicely aging predecessor, you’ll be getting one of the very best pure sports cars for the money. 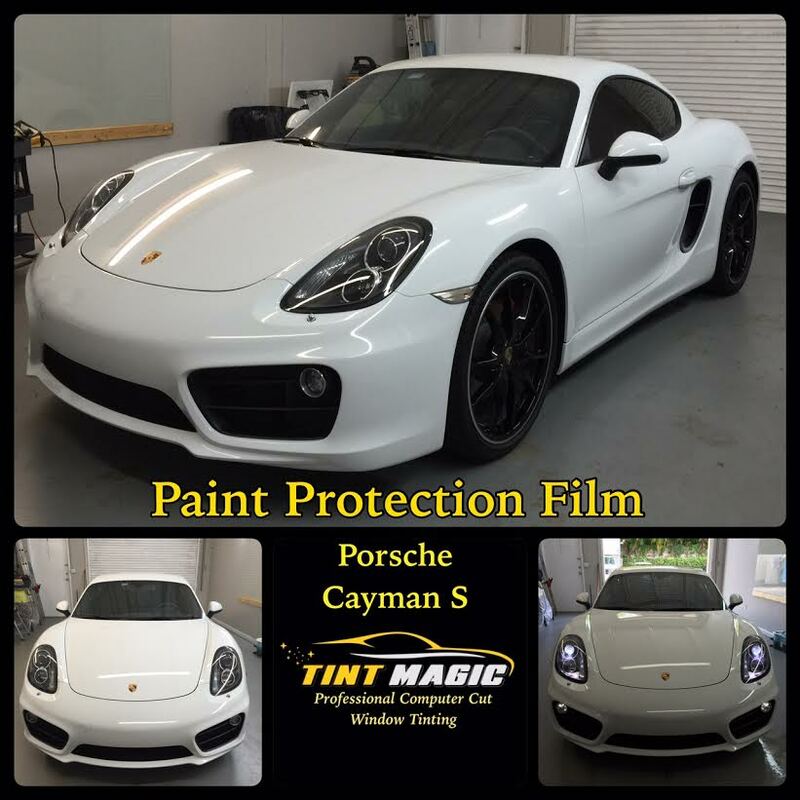 Tint Magic Window Tinting has applied on Porsche Cayman Paint Protection Film on hood, fenders, mirrors and whole bumper for the best protection from damage caused by rocks, salt, gravel, insects and other road debris. Paint Protection Film is virtually invisible and do not change the appearance of your vehicle. Call us for a free estimate! (954) 840-7883, we are located at 11344 Wiles Road Coral Springs. Tint Magic offer service in Coral Springs, Tamarac, Parkland, Coconut Creek, Margate, Sunrise and Weston.